REE Mechanical, Inc. - Home - REE Mechanical, Inc. Detailed Inspection Report of Your Equipment/ Air Ducts with Pictures. Are your heating systems ready to keep you warm? Start Benefiting from Cooling Maintenance Early! 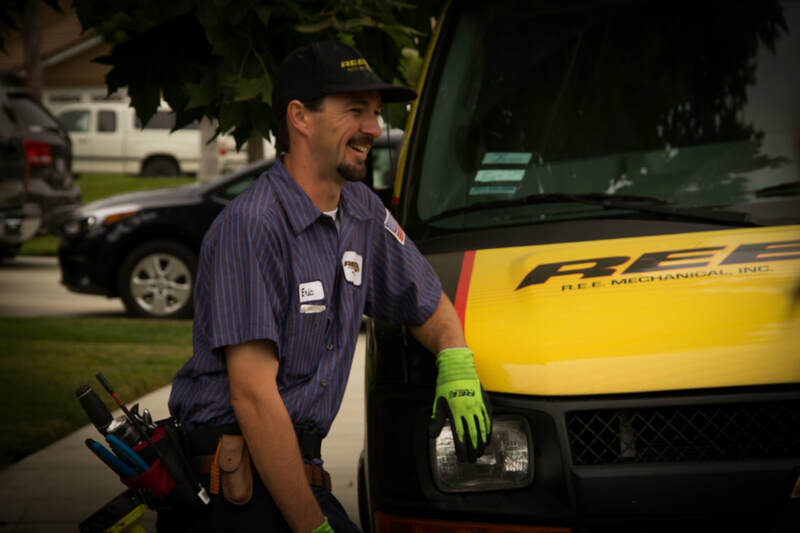 Since 1987, REE Mechanical has been the choice of commercial and residential contractor across Southern California. Our focus has been on providing top quality professional service and installation with our talented team of heating and cooling experts. ​R.E.E. Mechanical is make a move to turn your home from a Dumb Home to a Smart Home. Specializing in Smart Home Technology we can make your home work for you like the Jetsons. From Doorbells to Thermostats control your home with a phone or a simple voice command. Quiet Cool Season has Arrived!! Bring the Cool Spring Air into your home at anytime with a QuietCool System. QuietCool saves customers up to 50-90% off A/C related electricity costs. A whole house fan and an attic fan together can help consumers save money, enjoy better health, and cool your home for just pennies an hour. We're offering $200.00 OFF on REME Halo Air Purifier system! Watch the video on to find out how it works in your home! Our residential customers benefit from our years of top-notch commercial service. We know what works, how to save energy and keep your home comfortable all year long. From large-scale industrial plants to office buildings and retail, our commercial customers rely on our 30+ years of experience. Our factory-trained technicians are positioned throughout southern California to provide prompt and expert service. We’re here to help with all of your HVAC needs. Contact us or call 1 (951) 291-7569 to schedule an appointment today! As a growing company one of R.E.E. Mechanicals goals is to develop a cause & effect essay company that can provide endless opportunity for its employees while striving to be the premier HVAC provider in Southern California. Click the organization's logo below to learn more.